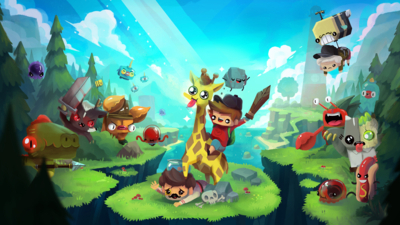 The Super Adventure Pals series is back for another action-packed story, but this time the stakes are higher, the characters are wackier and the pets are more… giraffeier? The sequel to the award winning Super Adventure Pals, ride your giraffe across an open world, discover secrets, bash up some baddies and enter a colorful world of laughter and adventure where using a giraffe’s tongue as a helicopter propeller is a legitimate means of transport. The game begins as a simple rescue story; Mr. B kidnaps your father in front of you and immediately the clock begins ticking. You must get him back before your Papa is turned into a tasty meat-based snack (garnished with a splattering of mustard and a side of pickles) in Mr. B’s burgeoning fast food empire. 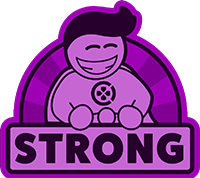 A fun and funny 2D platformer whose infectious sense of humour comes through clearly in the visuals, the script, and the gameplay. There are several issues marring The Adventure Pals that prevent it receiving my whole-hearted recommendation. Yet, despite these problems, I very much enjoyed my time in its zany embrace. Its quirky characters, breezy story and colourful game world proved to be enchanting, while its solid platforming and combat mechanics, in conjunction with local co-op play, kept me on my couch till the end of the story. If you have a pal to go adventuring with, then The Adventure Pals is well worth a look. 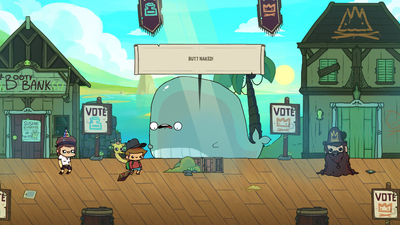 Hilarious, colorful and full of challenges, The Adventure Pals is a game full of challenges and lovely characters with several RPG mechanics for all players. Good platforming experience. 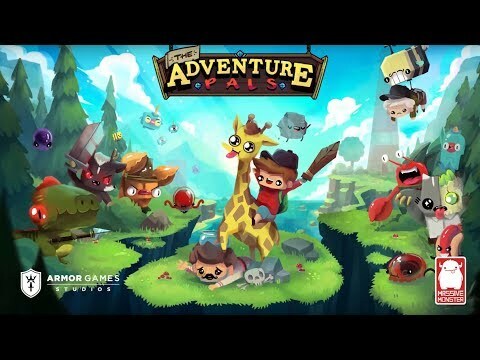 Running and jumping from left to right is difficult to judge, but while wearing the colours of another The Adventure Pals delivers on its central concept in a way it's inspiration never could.